At the beginning of this year, I wrote a post on my 17 Goals for 2017. I decided to do a goals check-up every three months or so. I’m a little late on doing this one though, but I always love to go back over the goals I set to see how well I am doing on them. Also, reviewing them helps me remember some I might need to work on as the year progresses. Any goals I have reached will be/ have been replaced with a new one! Eat healthier I’m vegetarian now, and have been for a month and a half or so (post on this coming soon), so I would say I am eating healthier. There are definitely ways to be vegetarian and still be unhealthy, but I have been eating tons more fruits and vegetables and more organic meals. I would say this one is a thumbs up for right now! Read 36 Books The official count is 20, which is on track for the rest of the year! 300 Followers (updated to 1,000) I’m a little over 900 of you guys, which is so incredibly crazy! It’s so cool how much Absolutely Olivia has grown and continues to do so. I have faith that we’ll hit 1,000+ by 2018. Make 1 of my Own Designs I have high hopes for this one and a plan is in the works. Post at least 4x a Month This is one of the ones that I have met and gone beyond as I’ve been posting 6-8 times a month for the majority of the year. 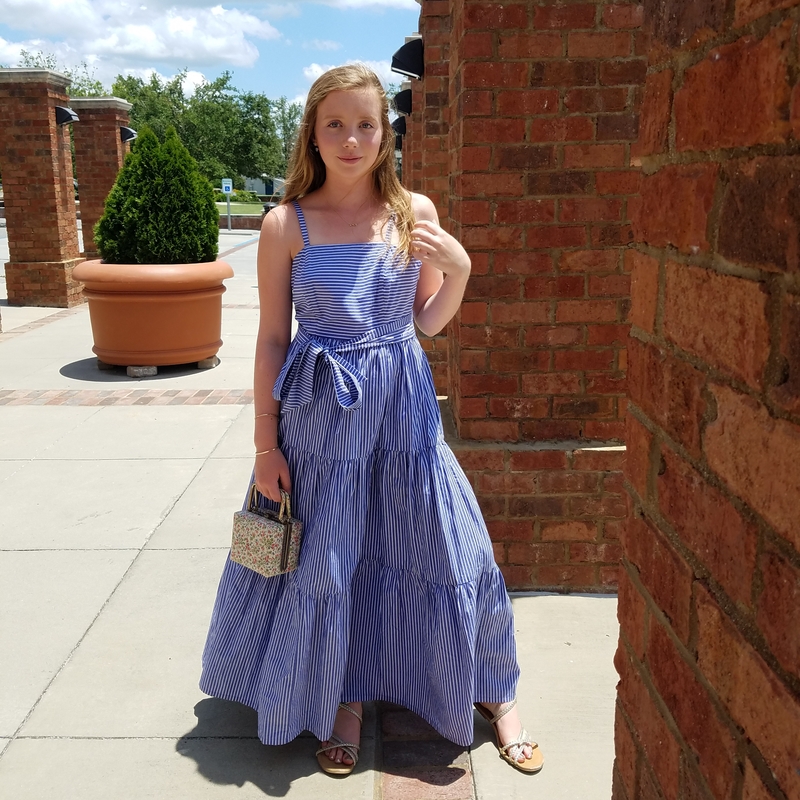 One of my Solo Style posts from June, The Most Perfect Summer Dress. 6. Exercise for 20-30 mins every day Definitely have been meeting this one for the past couple of months, and even more so now that it is summer. When I’m not playing tennis, I’ll run and do other workouts. I use the app Sworkit, which is wonderful for exercise and I highly recommend it. 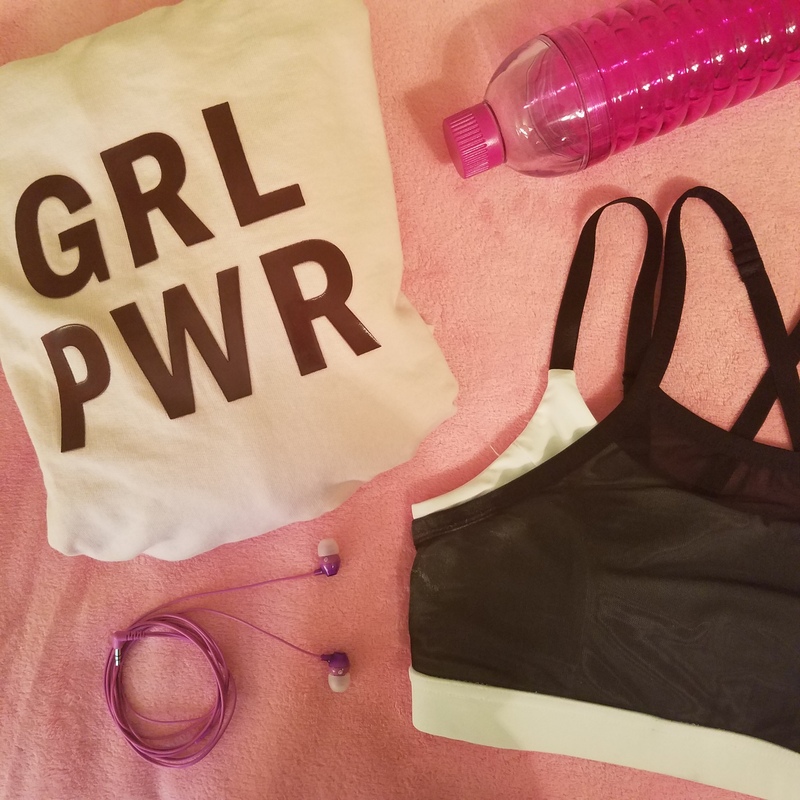 Some of my workout essentials: GRL PWR sweatshirt, Strappy Sports Bra, Sony Earbuds, and a waterbottle. 7. Sew/DIY things A few weeks ago I posted 2 Simple T-Shirt DIYs for Summer, so DIYing is something I have been doing. Sewing… not so much. 8. Earn All A’s This one was accomplished last semester, but I have the fall semester to focus on next. 10. Become more fluent in Spanish Ugh, for some reason working on a language for at least 15 minutes a day is a hard habit for me to keep up. I’m slowly starting it back up again now. 11. Learn 5 New Hairstyles 3 down, 2 more to go! I’ve learned the Bubble Braids, a simple bun, and half-up dutch braids. 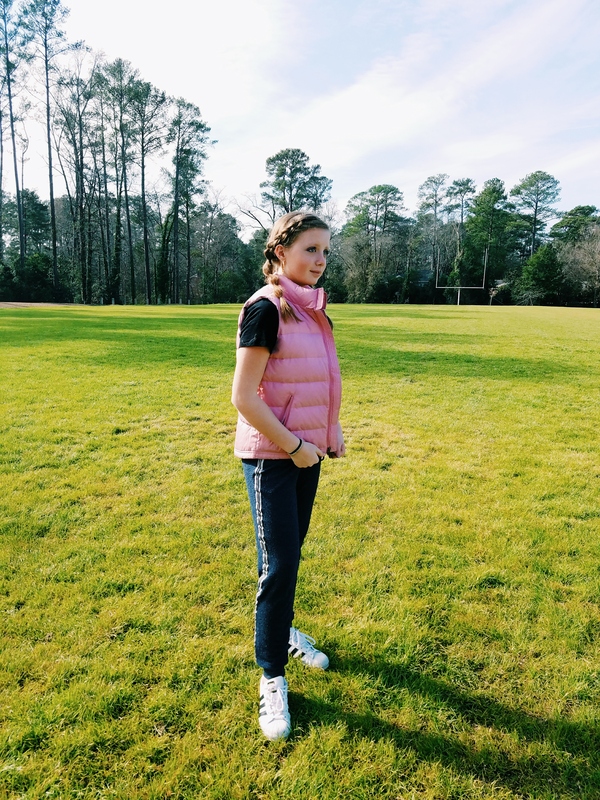 I wore the Bubble Braids hairstyle for my Chill Day Solo Style post. 13. Avoid Procrastination This is a big thumbs up for me (except for packing, I always pack last minute 😂). I studied for exams on time and have been writing posts ahead of time. 14. Take Art Classes I haven’t taken any yet, but maybe in the fall! 15. Run 3x a Week Since I last checked in on my goals, this one has been met a lot more frequently. 16. Draw 1-2 Designs Nope. Nada. I’ve only drawn about 8 this whole year, but in my defense I have a really long thinking process when it comes to designs. 18. 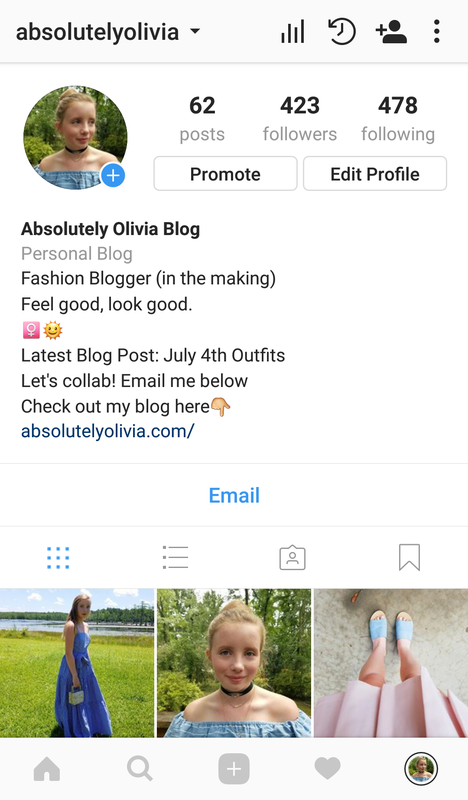 600 Instagram Followers. The current tally is a bit over 430, so we’re pretty close to this goal and I’m really excited about it! 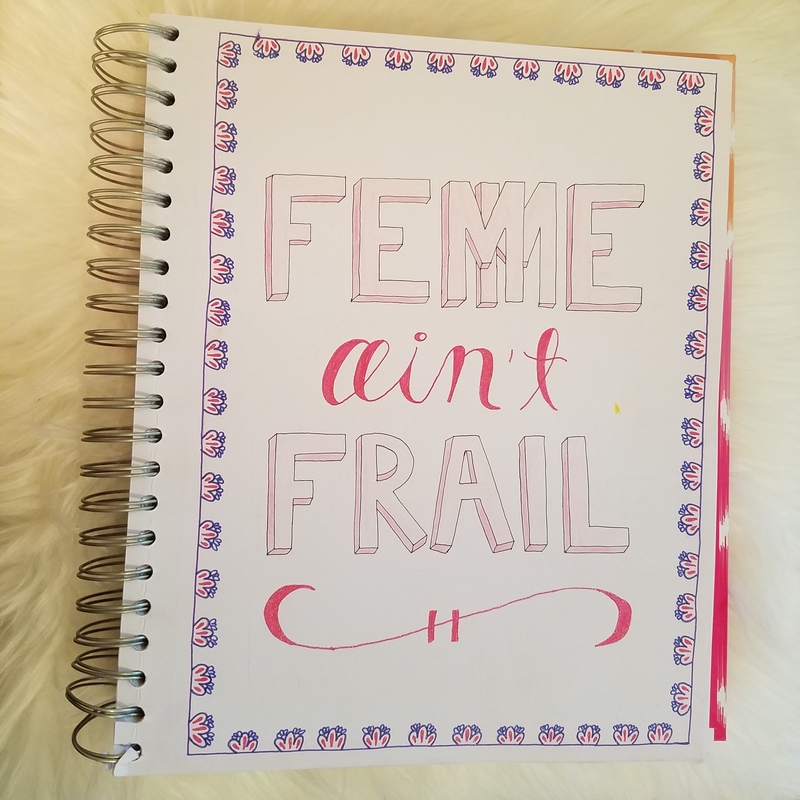 I know I enjoy reading people’s goals and see how far they’ve come, so I’ve hoped you enjoyed this post! Feel free to let me know some of your year goals in the comments below. Thanks for reading and come again! Loved hearing more about your 2017 goals! Cannot wait to watch you achieve your blog and insta goals. I love that Girl Power sweatshirt so much! That’s awesome!! Keep up the good work! Wow. You are doing ama img with your goals. Congratulations. congrats on running!! i’ve ben trying to run more too, reading about other people who are getting fit [or staying fit] really inspires me! Good! I honestly love running so much, it gives you a lot of time to yourself and lets me brainstorm new blog ideas while being out in nature. I love looking at others’ progress to their goals because it pushes me to follow mine! I find it very difficult to study a language as well, unless I’m taking a class, so good luck with that one! I’ll need all the good luck I can get with learning Spanish! haha Thanks for stopping by, Natalie!